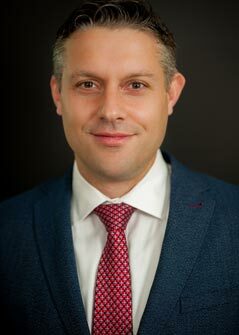 Andrew R. Jones, born in Essex, England, is duel-qualified attorney admitted to practice throughout New York State and in the United Kingdom*. Mr. Jones is a Partner whose practice focusses primarily on professional liability matters. Mr. Jones’ practice includes: (i) the direct defense of lawyers and other professionals; and (ii) giving advice to domestic and international insurers, including on policy language, product management, and claims management across the United States and abroad. More specifically, Mr. Jones’ defense practice includes the representation of law firms, fiduciaries, and other professionals throughout all phases of litigation, including where necessary, at trial. His insurance coverage practice includes the representation of insurers in complex coverage litigations, arbitrations, monitoring local counsel, and providing various other forms of insurance coverage analysis and advice. Mr. Jones represents individuals and corporations directly in matters alleging negligence or professional malpractice. Mr. Jones’ practice includes counseling institutional clients and individuals on risk management. Mr. Jones has experience trying multi-million dollar cases in both Federal and State Courts. He has also negotiated favorable settlements for clients both in direct negotiation as well as in mediation and arbitration at various stages of proceedings. Mr. Jones has drafted insurance policies and risk management guidelines for international insurers, and has advised on coverage matters both in the U.S. and abroad. Mr. Jones represents the Lloyd’s insurance market in the World Trade Center/September 11, 2001 liability insurance coverage litigation in the Southern District of New York, and represents insurers in international arbitrations, including London, U.S., and Bermuda. Mr. Jones represents insurers in coverage disputes involving financial institutions, professional liability, marine and non-marine risks. Mr. Jones is a graduate of Kings College London, School of Law, where he received an LLB law degree with honors. During and after his law degree, Mr. Jones worked for a prominent Lloyd’s insurance broker, and insurance defense law firms in both Toronto and New York City. Mr. Jones is admitted to practice in the State of New York – Admitted in 2003, and in the U.S. District Court, Southern and Eastern Districts of New York – Admitted in 2005. Mr. Jones spent 4 1/2 years as an associate with a nationwide insurance defense firm in New York City before becoming an associate of Furman Kornfeld & Brennan LLP in 2008 and a partner in January 2010. Mr. Jones is a non-practicing solicitor and Member of The Law Society of England and Wales (United Kingdom) – Admitted in 2011. * Mr. Jones is also a member of the Professional Liability Committee of the Torts, Insurance & Compensation Law Section and the Lawyers Professional Liability and Ethics Committee (Trial Lawyers Section) of the New York State Bar Association. Mr. Jones is also a member of the Professional Liability Underwriting Society and various nationwide Professional Fiduciary Associations. Mr. Jones has written and contributed to numerous articles on insurance coverage and insurance defense matters, and has been a speaker at professional liability conferences in both London and New York. 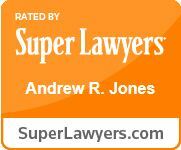 Mr. Jones is the co-author of “Professional Liability Insurance,” Insurance Law Practice, §37 (3rd Ed 2008, NYSBA). Mr. Jones has appeared as both a panelist and a lecturer at the Bi-Annual New York State Bar Association-sponsored CLE statewide Legal Malpractice Seminar (2009 and 2011) and is a contributor to the NYSBA CLE Legal Malpractice course-book (2005, 2007, 2009 and 2011). *Mr. Jones is currently registered as a non-practising Solicitor but remains on the Roll of Solicitors and is a member of the Law Society of England & Wales. Represent litigation attorney and law firm defendants against $10.6 million legal malpractice lawsuit resulting in unanimous (defense) jury verdict – Supreme Court of the State of New York, New York County (Manhattan). Represent corporate sports and recreation defendant against $2.5 million personal injury lawsuit resulting in unanimous (defense) jury verdict – Supreme Court of the State of New York, Queens County. Represent multiple attorney and law firm defendants in legal malpractice lawsuits settling favorably during trial – Supreme Court of the State of New York, Kings (Brooklyn), Bronx, Richmond (Staten Island), Queens, New York, Nassau, and Westchester Counties; United States Federal Court, Southern and Eastern Districts of New York. Represent trusts and estates law firm in multiple litigations, including million dollar suit relating to preparation of trust documents. Defend closing attorney in multiple suits related to an alleged $100 million mortgage fraud scheme. Obtained favorable settlement in legal malpractice matter involving prominent corporate law firm’s alleged failure to securitize investments. Actively defend commercial litigation attorney in legal malpractice counterclaim related to fee claim vs. Donald Trump. Represent law firm in multiple suits related to its representation of construction insurance company/surety. Successfully obtain dismissal of claims against professional liability law firm. Obtained favorable settlement for personal injury and medical malpractice law firms related to alleged failure to properly pursue underlying claims. Represent numerous tax law firms on matters related to alleged negligence in filing of tax documents. Actively represent numerous real estate attorneys in litigations relating to alleged mortgage market failures and foreclosures. Conduct Nassau County Supreme Court Bench Trial in connection with alleged malpractice claims versus prominent real estate attorney. Conduct Federal Court (S.D.N.Y.) Jury Trial in connection with legal malpractice claims alleging failure to obtain underlying damages categories. Represent insurers in connection with confidential international arbitration involving complex insurance coverage issues. Advise various Lloyd’s insurers on coverage and litigation issues related to a $250 million patent suit. Advise various Lloyd’s insurers in connection with $1 billion coverage related to the World Trade Center/9-11 claims. Advise various U.S. insurers on coverage and litigation related to professional liability issues. Manage Nationwide Professional Fiduciary liability insurance program. Manage Nationwide Patent Practitioners liability insurance programs. Manage Nationwide Allied and Home Health Care liability insurance programs. Andrew presented at the University of California, Riverside, lecturing students on Risk Management and Professional Liability Insurance. As part of U.C.R.’s Professional Certificate in Professional Fiduciary Management, Andrew addressed students embarking on careers leading towards possibly becoming Professional Fiduciaries. Full details regarding U.C.R.’s Professional Fiduciary Program can be found by clicking here. Andrew was a featured panelist at the American Bar Association’s LPL Young Professionals Event during the session entitled: “The Counsel and Claims Connection.” Andrew discussed reporting, budgeting, and providing settlement recommendations for legal malpractice claims. The panel also explored best practices for the key elements of case management for both defense counsel and claims handlers. Andrew published a client advisory regarding statutes of limitations for legal malpractice. Andrew along with two partners from Schiff Hardin LLP’s Product Liability & Mass Torts Practice Group spoke about the future of mass tort litigation in the United States at the Lloyd’s Old Library in London.Topics discussed included: nanotechnology, pharmaceuticals and medical devices, e-cigarettes, wearable technology, and fracking. Andrew focused in particular on various insurance coverage-related issues related thereto, including claim notification, management, and settlement. Featured speaker at the New York State Bar Association’s 2015 Statewide Legal Malpractice CLE. Andrew spoke about identifying and responding to professional liability claims, including claim notification and reporting issues, responding to and reporting of potential claims, what is covered under the typical lpl policy, the scope of covered professional services, typical exclusions, and ways for insured attorneys to most effectively work with their carrier and any appointed defense counsel. Presented a continuing education class at NAPP’s annual conference covering Best Practices: Minimizing the Risk of Malpractice. Andrew lectured on Risk Management and Insurance Coverage considerations for professional fiduciaries at the 2014 Annual Professional Fiduciary Association of California (PFAC) Conference in San Diego, California.